Red Bus, Blue Bus, Wine Bus, Two BUS! This past weekend we went on a great adventure! I love adventures of all kinds and this one included a bus and a lot of wine. I know – I’ve already sold you! 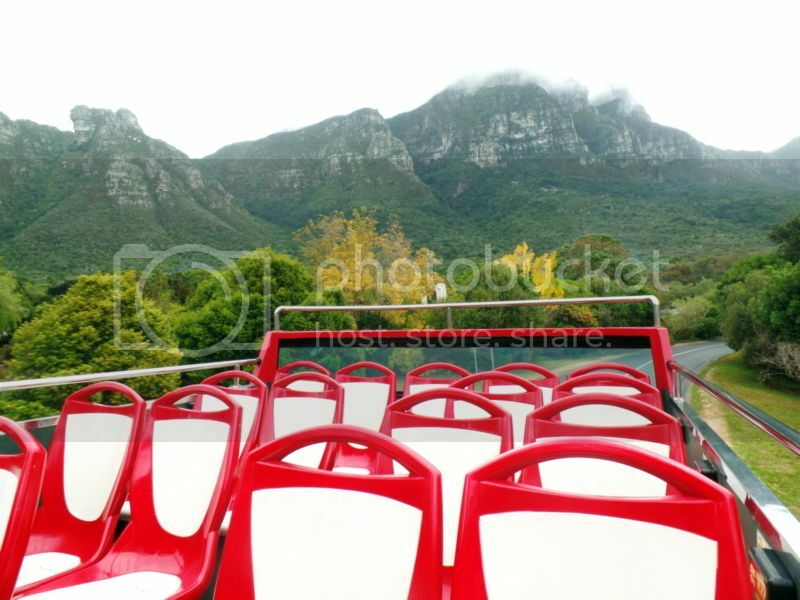 I’m sure you’ve seen that bright red bus whizzing around packed with waving tourists hopping on and off at Cape Town gems such as Table Mountain, Camps Bay Beach, the aquarium, Long street and Kirstenbosch. 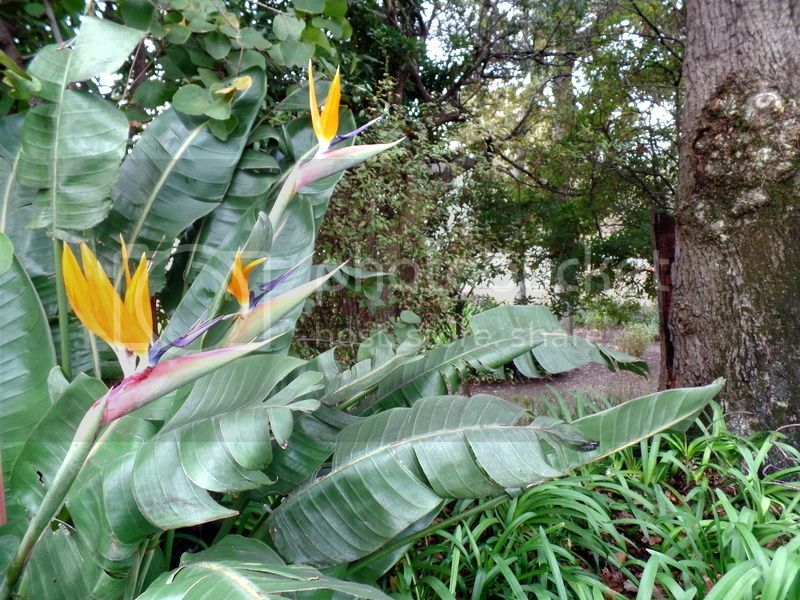 They run a Red City Tour and a Blue Mini Peninsula Tour which include a combination of some of our best tourist spots. They’ve also added in a Purple wine tour which you can jump on to from the Blue tour! And this is where the wine and the bus rides meet!! On a wintery morning we all climbed out of our warm beds, clothed ourselves in many layers and met at Kirstenbosch to catch the bus! We were greeted by smiley bus operators who explained all the logistics kindly warning us where and when we had to be to get back home. We ran upstairs to grab seats in the miserable outdoors! Sitting on the upper deck with the roof open is just perfect as long as its not raining – crisp, fresh and an amazing view. It was so beautiful driving in between the trees of Constantia Nek to reach our wine bus spot. The wine bus is a seperate one-decker bus with an open back and a covered front. 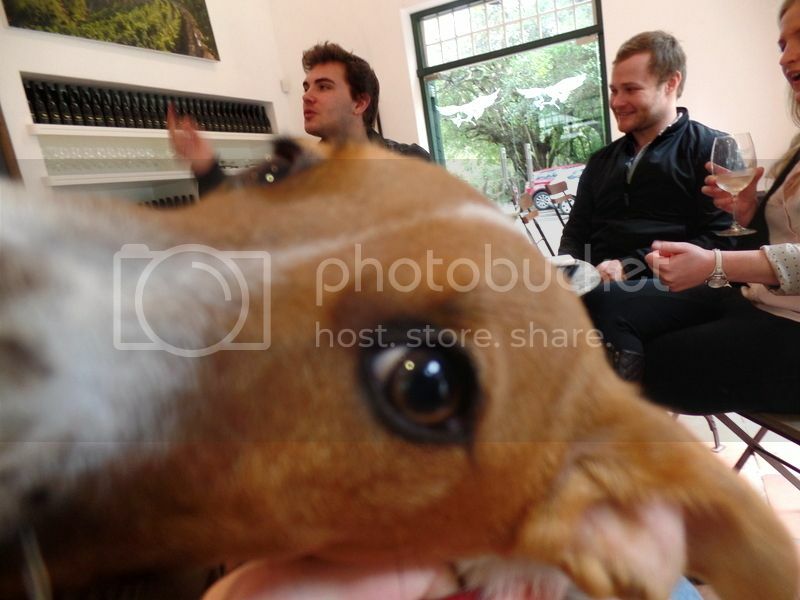 We jumped in the back and headed down the Constantia wine route. The first stop was Groot Constantia! We did the standard Groot Constantia tasting of 5 wines for R40 but with a City Sightseeing Bus Ticket you only pay R35 for a tasting. 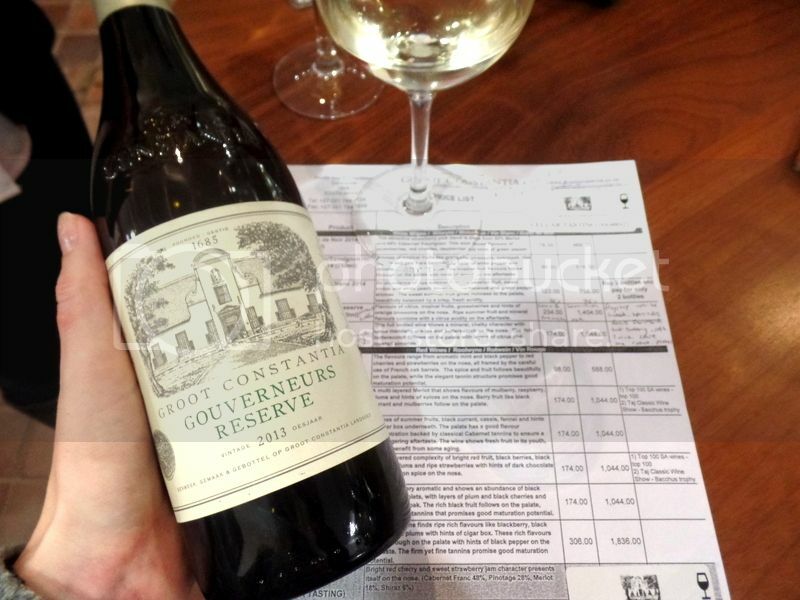 We enjoyed some good wines at Groot Constantia with the favourite of the group being the Groot Constantia 2013 Gouverneurs Reserve, which is their flagship white. The Reserve is a blend of 75% Semillon and 25% Sauvignon Blanc. The wine was fruit forward tasting mostly of peaches and apricots with a beautiful, soft, rich finish. Everyone also really enjoyed the 2014 Chardonnay which spends 9 months on french oak. The 2013 Cape Ruby Port was really delicious too! 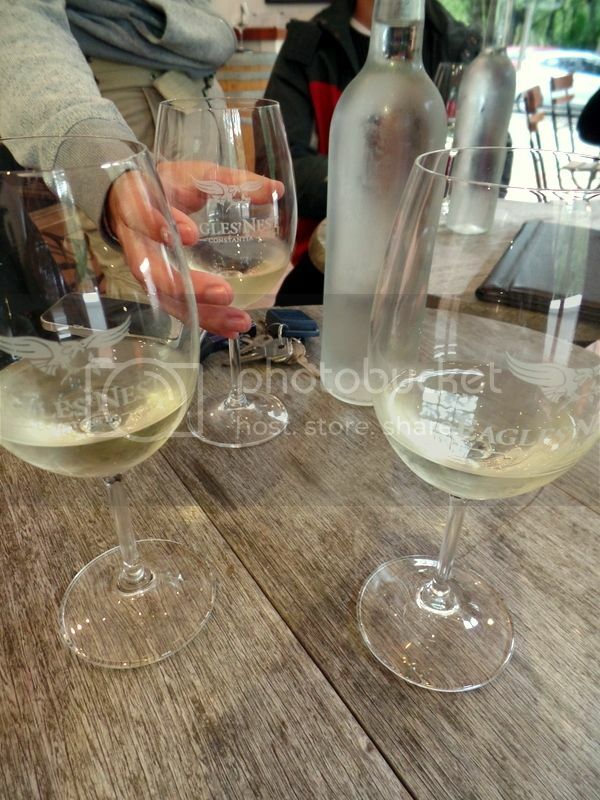 The tasting experience at Groot Constantia was, however, very disappointing. The tasting room is cold and lacking in any kind of atmosphere. You stand round wooden tables in the cold and then walk to the front to fetch your next glass. The guys behind the counter pouring the wines were beyond uninterested. As lovely as the wines were we were excited to leave in search of somewhere warm, with comfortable seating and warm service. AND back on the bus we got! A useful tip when using the Hop-On Hop-Off bus is that if the schedule says they’re coming at 11:56 and you arrive there at 11:56 they will be gone. Make sure you are there before the bus to avoid waiting. We hid in the Groot Constantia security hut to avoid the rain for longer than we would have liked! Our next tasting experience was the opposite of Groot Constantia. We were welcomed into Eagles’ Nest with giant smiles and happy greetings. We pushed some tables together and squeezed our party of six in around the fire and started to defrost. 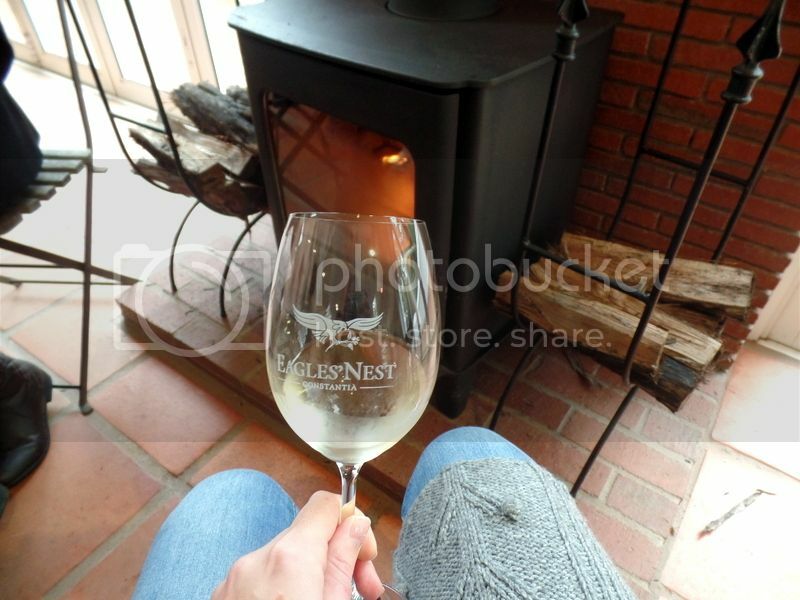 Whilst we were defrosting we were given the background of Eagles’ Nest and the amazing wines they produce. I know Eagles’ Nest wines very well and I love every one of them! 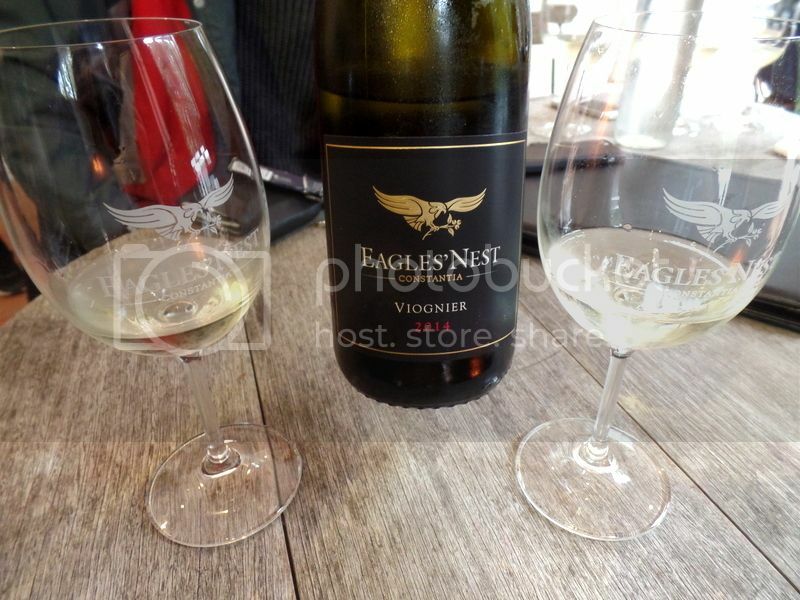 Favourites of the tasting included their amazing as ever 2014 Viognier. This is one of the most delicate and well balanced Viogniers I have ever had and I think its going to get even better with age. The wine smells like the best summer nights – of white-flesh peaches, apricots and white flowers. The Little Eagle Red is a seriously easy drinker and was great curled up next to the fire place. I love Eagles’ Nest reds more and more as I drink them! The Shiraz is astounding as always with its spices and mulled berries. 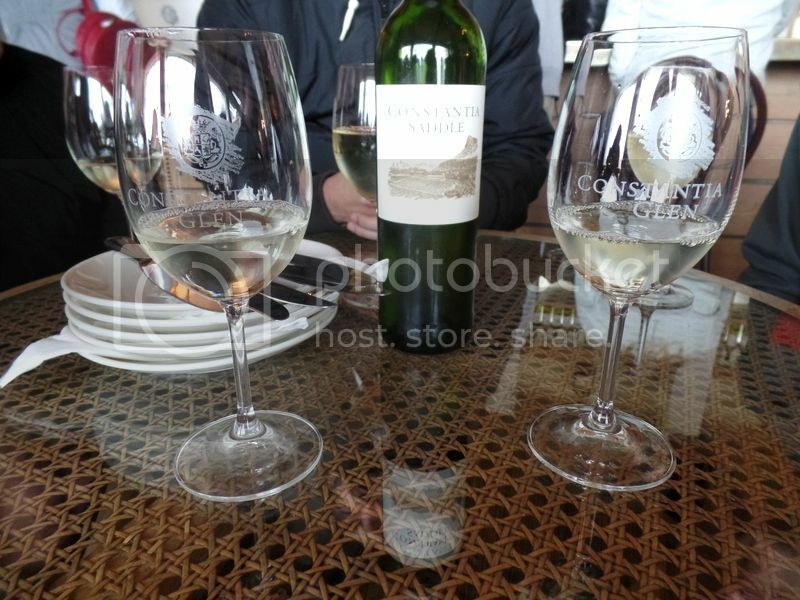 The standard tasting of five wines at Eagles’ Nest was R50. They also have some great cheese and charcuterie boards – but we were saving ourselves for our last stop! 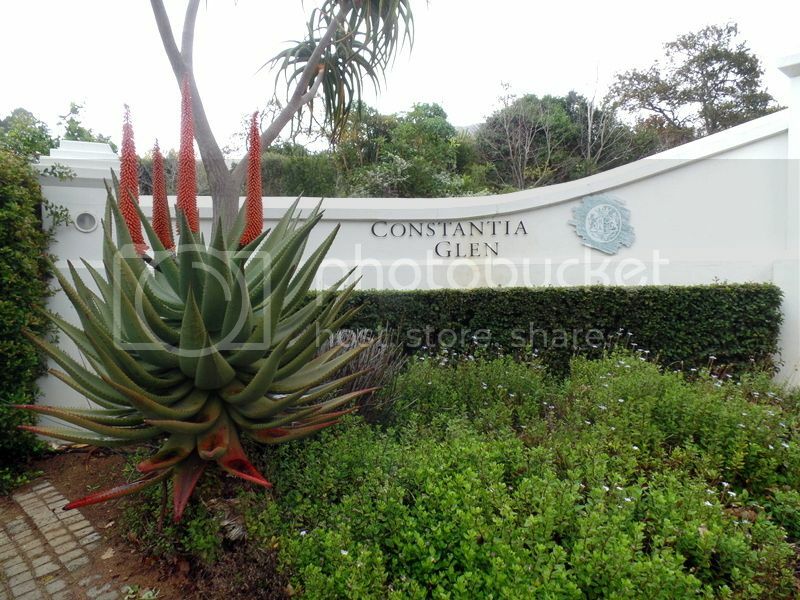 Constantia Glen is not officially on the Hop-on Hop-off bus route but we decided that it was! We arrived at their main gate and were stopped by security. Apparently we couldn’t come in without a car! I called up to the tasting room and begged them to take us in for a tasting. I was asked to wait one minute and the tasting room organised a bakkie to whiz us up to the top of the estate! We did not realise when standing at the main gate how far the walk would have been!! 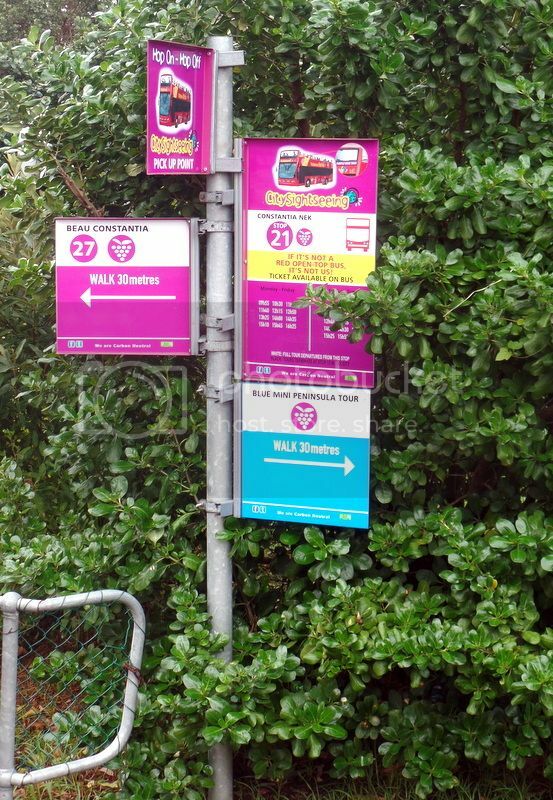 It is not walkable but if you are on the purple route its worth calling up to see if they can help you with a lift up or flag down a car heading up themselves. Constantia Glen was another super cozy wine tasting spot and we were quickly squeezed in between the many other wine drinkers. Our last stop seemed too far away for some of our group so they snacked on this amazing cheese and charcuterie platter to tide them over. 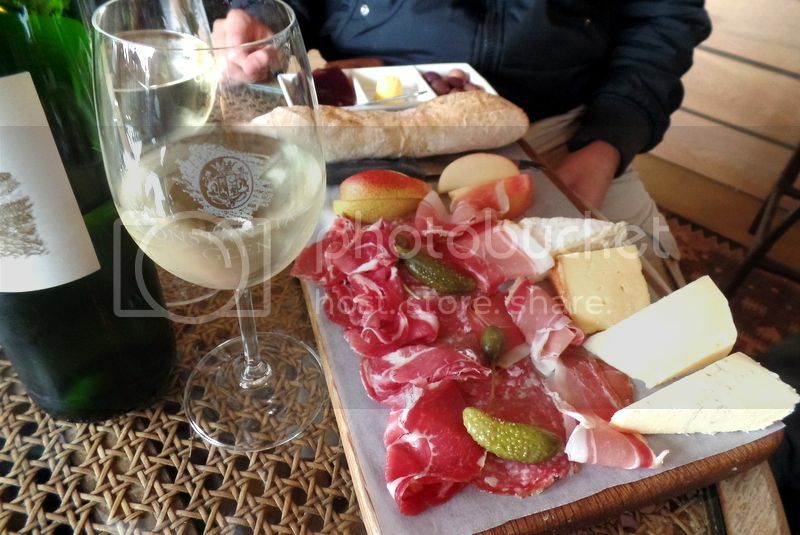 The cheese board was R135, featuring four different cheeses, three cured meats, olives, grape jelly, fresh baguettes, Rooibos butter and seasonal fruits. That’s a pretty good deal and a pretty great feast! We did the standard tasting of four wines for R40. 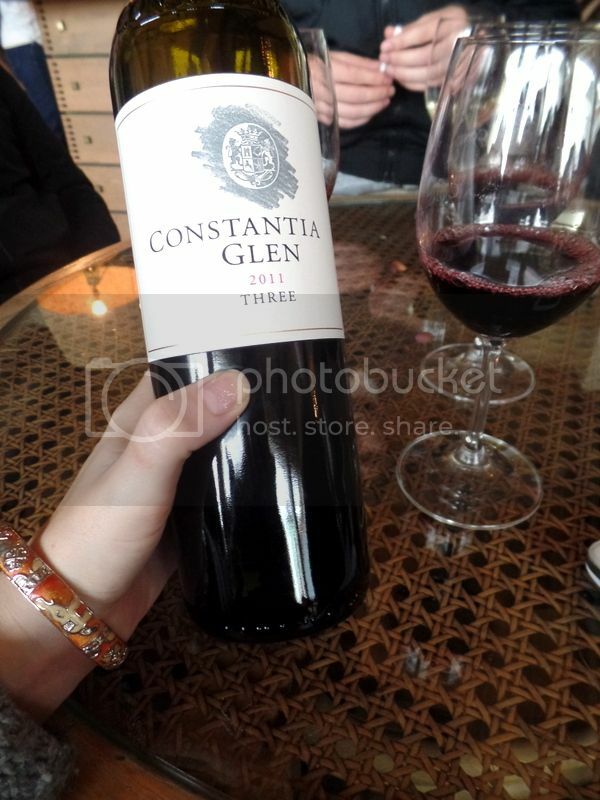 Our favourite wines of the tasting were Constantia Glen Three and Constantia Glen Five. Both of these are serious, full-bodied red wines with the Three being a blend of Cabernet Sauvignon, Cab Franc and Merlot and the Five a blend of Cab Sauv, Merlot, Cab Franc, Malbec and Petit Verdot. I was so excited for our final stop at Beau Constantia because I had heard great things but never been lucky enough to visit before! 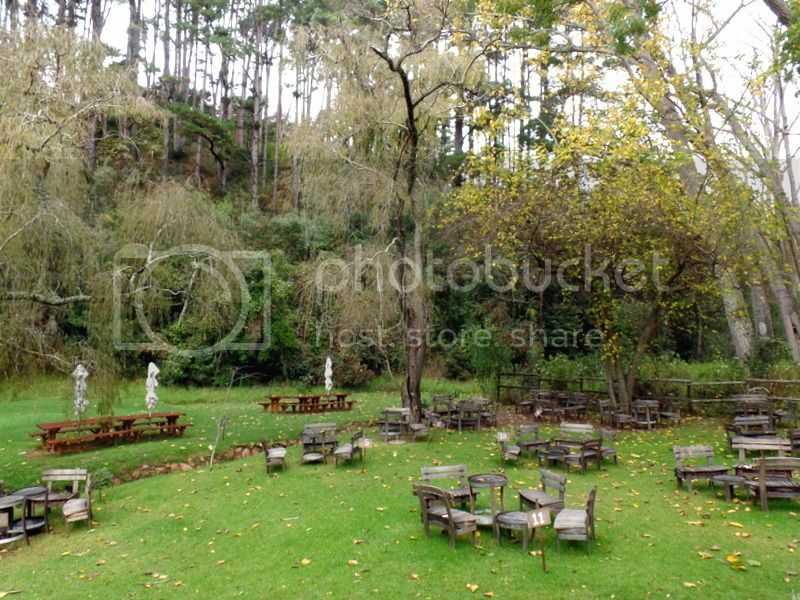 I gave them a quick ring whilst at Glen Constantia to see if they were still open and had space for us. Turns out they were winding down early because they were holding a private event. Luckily they decided to take pity on us and squeeze us in based on my promise of arriving very soon, ordering quickly, eating quickly and tipping well. I feel like we lived up to that promise! I’m so glad they squeezed us in because Beau Constantia is beautiful. 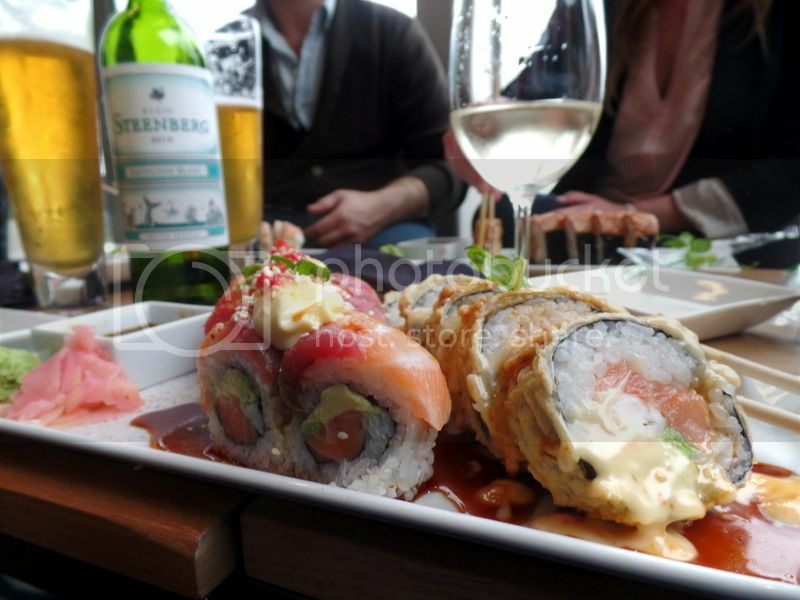 I will definitely be going back for more wine and more sushi again! The farm has teamed up with Sushi Box, which is one of my personal sushi favourites, to bring great sushi to the Constantia wine route! 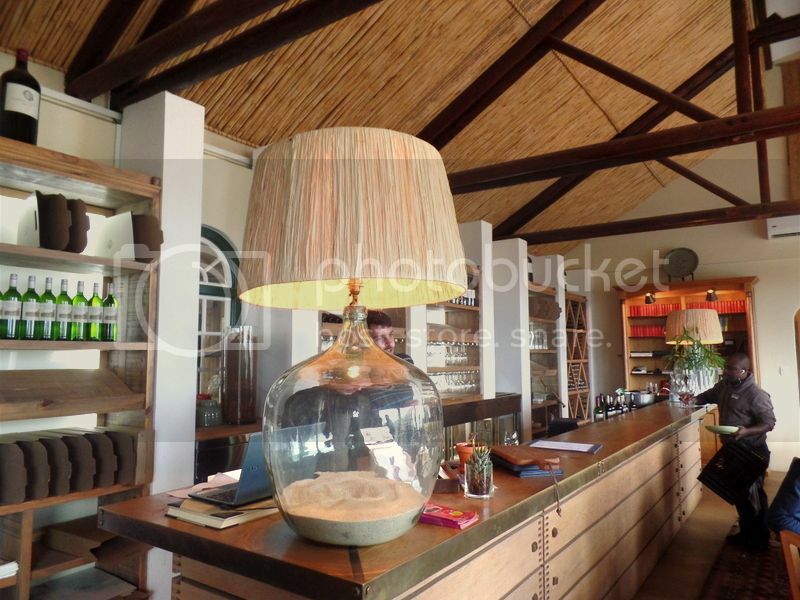 The only thing I don’t understand is that most of the Beau Constantia wines on the wine list were sold out – obviously it’s great wine but I was sad not to be able to try their wine! I suppose that’s another reason to return! We ordered the Klein Steenberg 2015 Sauvignon Blanc which can only be described as horrid – a lot of acid can be found in that bottle. The boys were excited to switch to Slow Beer from Darling Breweries. All in all we had the most fantastic day of wine, adventuring, laughing and bus hopping! We sadly missed the final bus back in time but luckily we had a friend living nearby who offered to drop our tipsy souls home! I could not more highly recommend a day of fun on the Hop-on Hop-off bus. Happy adventuring! I’d love to know what you’re favourite Constantia wine farm is? I feel like I’m just discovering these amazing farms in my backyard!! Ticket price: R150 per person on the Blue Mini Peninsula Tour with the Purple Wine Route thrown in for free! Contact details: Find out all you need to know on their website here. We enjoyed the City Sightseeing Hop-on Hop-off bus as guests of City Sightseeing Cape Town. However all pictures and opinions are my own. We paid for all our wine tastings and food in full. A review was not expected nor requested. 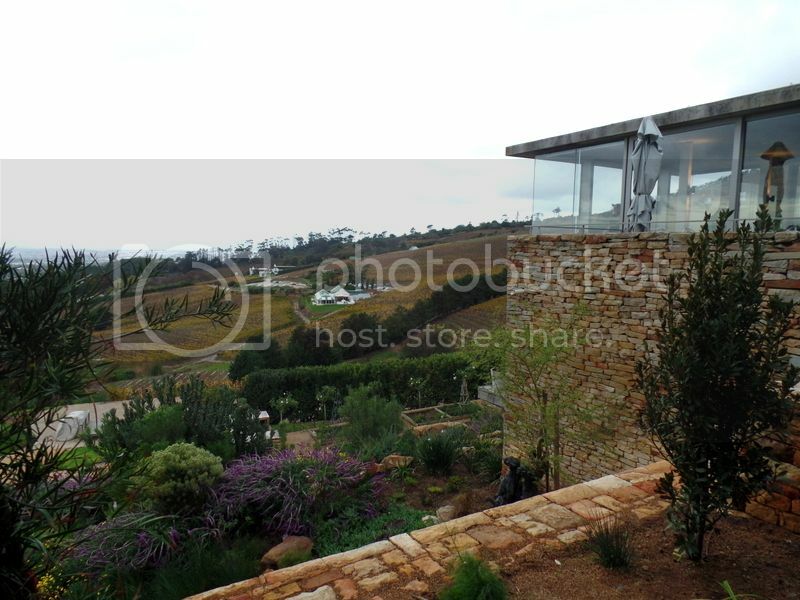 I love the wine farms in Constantia and have been to all of them at least once or more than once and I live in the UK! 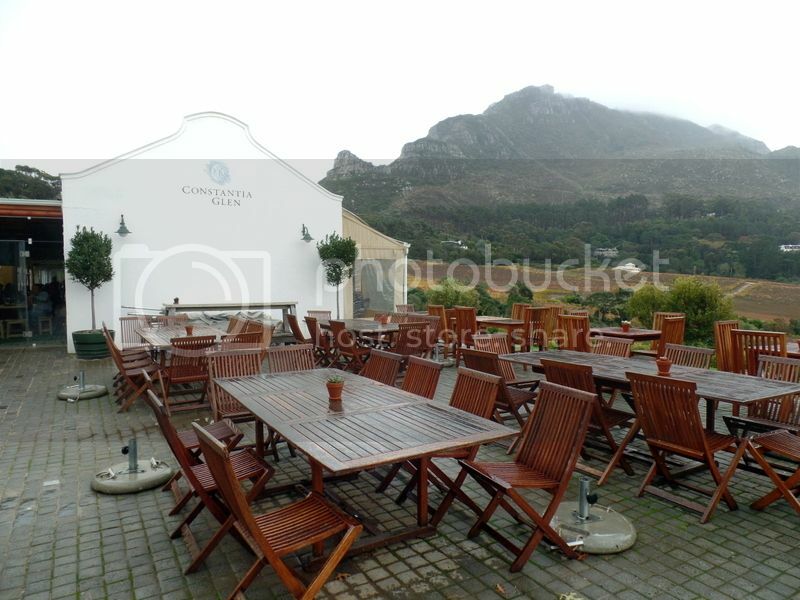 Constantia Glen is my favourite and on a summer’s day there are not many better places to be sat! They also let you taste their flagship wines, which are pretty expensive but very good. Thanks so much for the recommendation! I’m always looking for new places to visit! 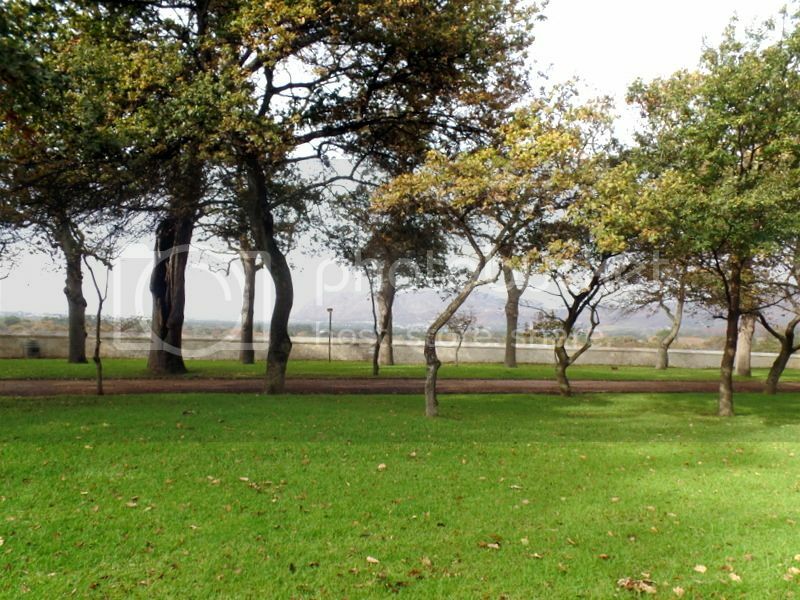 I’m definitely going to visit Buitenverwachting in summer for a picnic! With the weather we had last week I’d likely drown from a picnic at the moment!! I hope you’re heading back to Cape Town soon for some fabulous wine! I’m Brazilian and I’m going to spend 7 nights in CT this summer (25-31 January). 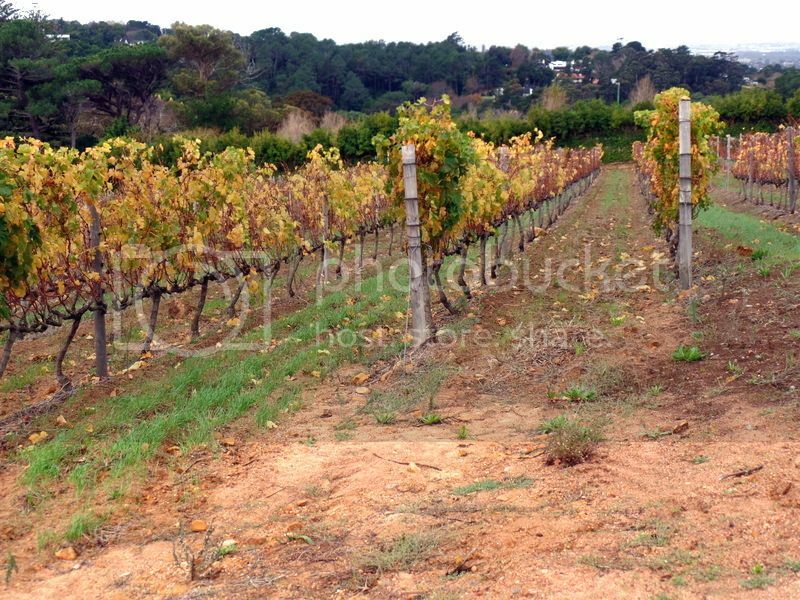 I loved the post and I cannot wait to visit those wine farms! Would you recommend a good beach to spend all day enjoying the sea? Would the water be too much cold this time of the year?